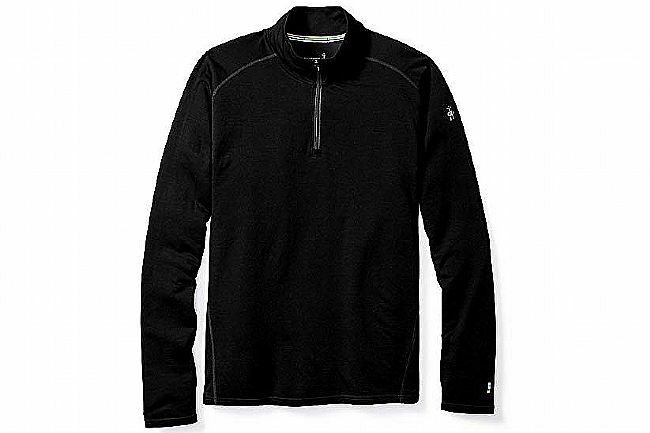 Smartwool's Merino 150 1/4 Zip Baselayer is highly versatile, perfect for warm weather days as a single layer, or for layering up on colder days. Merino 150 is performance-oriented; light, breathable, durable, and quick-drying. The Merino fibers are Core Spun -- wrapped around a nylon core -- for added durability. Flatlock seams and raglan sleeves deliver lasting comfort. Slim Fit with raglan sleeves. 8" center front zipper with semi-locking logo slider. Chest 0" 36"-38" 39"-41" 42"-44" 45"-49" 49"-4'3"
Waist 0" 29"-31" 32"-34" 35"-37" 38"-40" 41"-44"
Hips 0" 36"-38" 39"-41" 42"-44" 45"-48" 49"-4'3"
Inseam 0" 30"-31" 31"-32" 33"-34" 34"-35" 35"-36"